In today’s divisive social and political climate, brands face unprecedented challenges when engaging with consumer audiences on social media. It’s true that speaking out has always been a gamble, but social’s ubiquity, vast reach and viral nature puts brands under a new global microscope. As hot-button issues dominate headlines, many brands have struggled to navigate today’s biggest, and sometimes most controversial, conversations. This uncertainty is warranted. In the wake of unsuccessful campaigns like Pepsi’s Kendall Jenner ad, brands understand all too well how volatile consumer opinion can be. Yet, for every Pepsi of the world there’s a Heineken or GoldieBlox, giving brands hope that they too can forge connections with their communities around meaningful social conversations and ideally, real change. The question is, how? Brands have an invitation from their audiences to get involved and the space to do it via social, but lack an understanding of how to take strategic stands that avoid backlash. Bridging this gap must be top priority for stakeholders because, according to new research from Sprout Social, brands that take a stand in the right way can turn potential risks into business opportunities. People actually want brands to engage in these conversations and communicate their values. What’s more, they want brands to do it on social media. While hearing from brands won’t always change long-standing beliefs, businesses can use their platforms and resources to do what individuals cannot: inspire change at scale. As it turns out, brands have more to lose in silence than in speaking out. 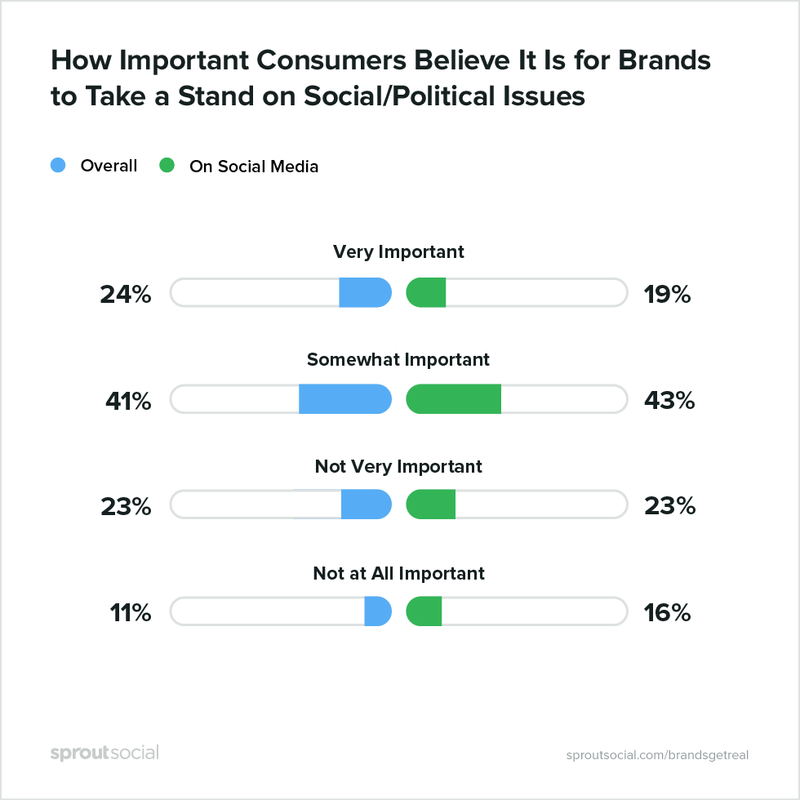 To unpack today’s complex social media landscape, Sprout Social surveyed more than 1,000 U.S. consumers to better understand how people want brands to communicate their position and engage in conversations on political and social issues. 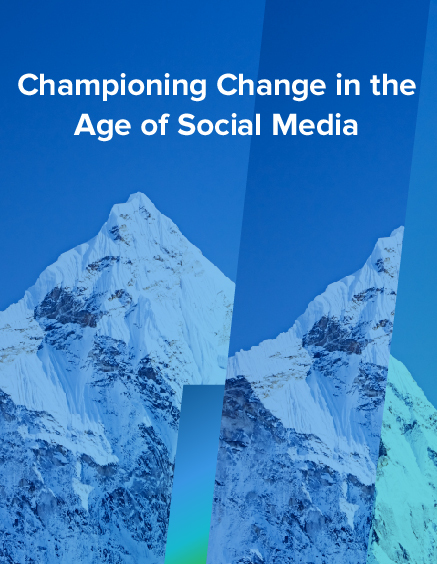 Findings from the Championing Change in the Age of Social Media study create a blueprint for how brands can responsibly and effectively take part in social conversations to become better brands and build lasting relationships with customers. Most brands avoid thorny conversations on social media. However, as more divisive and sensitive topics become increasingly common on social and interplay with early social’s friendlier interactions, smart brands choose when to engage, not whether they should. Brands must also understand that with participation now a standard, haphazardly wading into social conversations is not an option. They must have a plan for addressing controversial political and social issues. 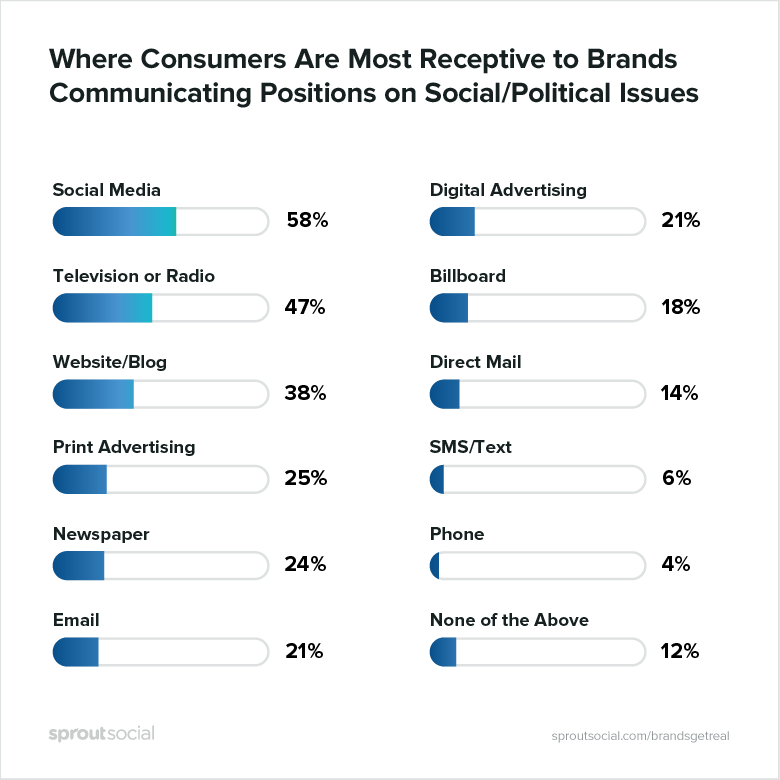 Individuals are overwhelmingly open to brands participating in social and political conversations. Not only do they want to hear from brands, but they expect brands to converse in intelligent and impactful ways. 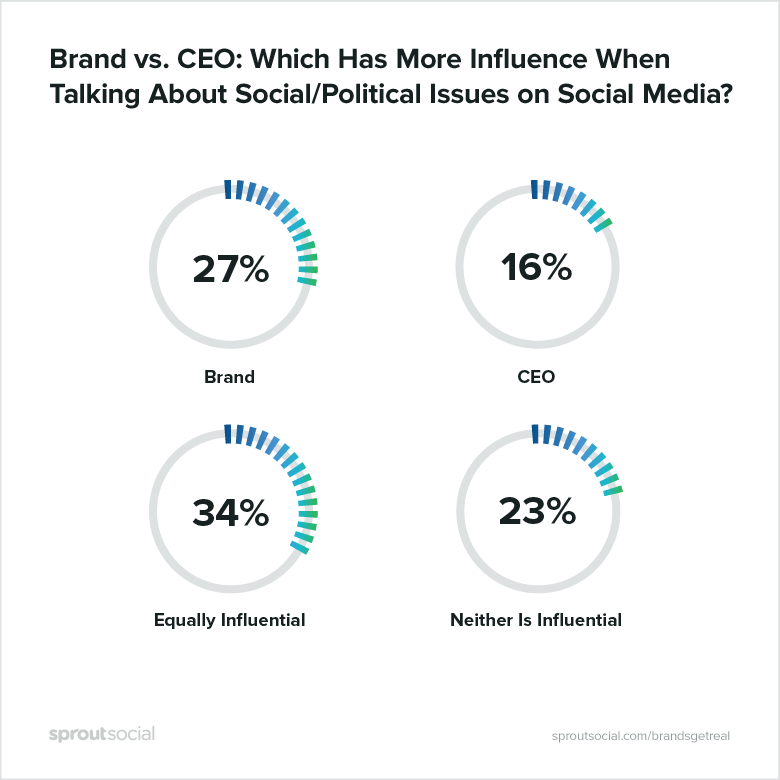 According to Sprout’s research, two-thirds (66%) of respondents feel it’s important for brands to take a public stance on leading social and political issues like immigration, human rights and race relations. What’s more, social media is the best place for this to happen in 2018. Compared to other primary communication channels like TV, phone and blogs, the largest number of consumers are receptive to brands communicating their positions/values on social media. In fact, 61% of respondents say it’s important for brands to take stands on social media specifically. Meaningful social conversations require leg work. While it’s impossible to know how people will feel about and react to every social or political stance taken, brands can insert themselves into only the right situations to prevent unnecessary backlash. Here, “right” doesn’t have just one definition. Rather, it’s up to brands to strategically pinpoint when social media provides the opportunity to engage relevant audiences on issues they care about, invest in or are specifically affecting their business at the moment. To better understand when and how brands should take a stand, here’s a closer look at what drives consumer receptivity. Relevance is nothing new in the world of customer engagement; however, brands typically think in terms of making outreach and communications more relevant based on consumers’ unique preferences, purchasing histories, demographics and so on. To be more credible when sharing a stance, brands must take a long view and consider how they relate to the world around them. 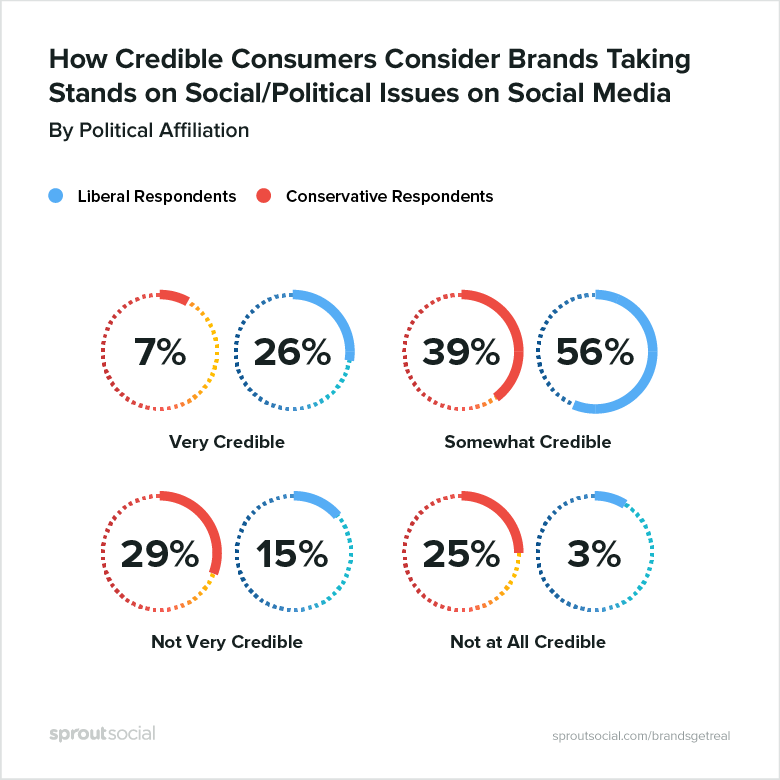 The good news is two-thirds (67%) of respondents already feel brands are credible when speaking out on social and political issues on social media. To boost this number, brands must think critically about the questions people will be asking: Why is this brand commenting on this issue, and is it sincere or just hopping on the bandwagon? The most important question for consumers when brands comment on these issues: Why should I care? Ultimately, people are looking for a direct connection between brands and the issues to which they are lending their voices. Without this link, individuals may find it hard to believe a brand’s goals are altruistic and may call into question its motivations. This uncertainty and mistrust can overshadow what brands are trying to accomplish via social outreach in the first place. 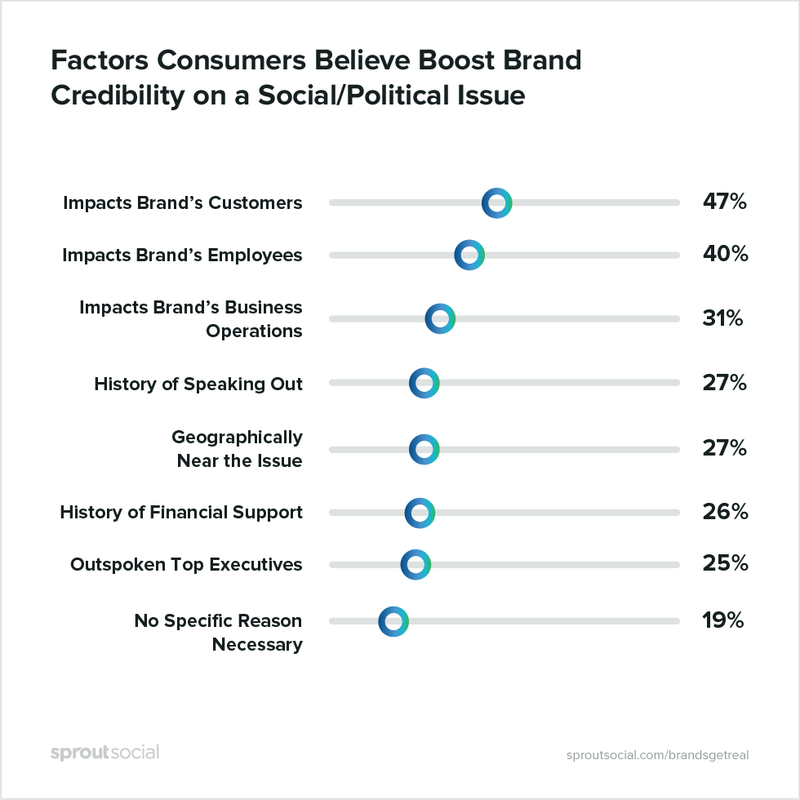 With only one in five consumers believing brands don’t need a specific reason to take a stand on social and political issues, brands should err on the side of relevance – weighing in on issues most important to their businesses and customer communities. What counts for credibility? The data demonstrates that people find brands’ voices most credible when an issue directly impacts their customers, employees or business operations. For an in-depth look at what drives relevance on social media, consider the following breakdown of how consumers’ desires change by social and political issue. Brands will want to revisit these trends when weighing whether or not it’s worth the risk to join a conversation. Companies engaged in civil rights are prime examples of brands taking stances on issues that are important to their employees and customers. In the midst of LGBTQ conversations, brands like the Gap are emerging as examples of how retailers can successfully weigh in on these issues. This year, Gap partnered with major advocacy group, GLAAD, to bring awareness to LGBTQ bullying. Gap encouraged both its global headquarters and store teams to “go purple” in solidarity with GLAAD’s #SpiritDay, in partnership with the hundreds of other national organizations, businesses and celebrities elevating anti-bullying efforts to a global stage. To bridge “the Gap” even further, the retailer signed the United Human Rights office’s new set of global standards, which are designed to counter LGBTQ discrimination in the workplace. Other companies committing to the UN’s five standards include Coca-Cola, IKEA, Microsoft, Spotify, and Accenture, with representation across Asia, Africa, Europe and the Americas. Gap also donated 30% of sales from its branded Pride t-shirt to the UN Foundation’s Free & Equal campaign – the type of financial effort people want to see. Given how emotionally and politically charged social media has become, brands are right to be apprehensive about wading into controversial waters. Fortunately, the data shows that brands face more rewards than risks when it comes to sharing their positions. Instinctively, people’s reactions are stronger when their own values align with what brands are saying than when they don’t. A greater percentage of consumers will show brand loyalty in times of agreement than will boycott a company in times of disagreement. The same pattern holds true for publicly praising versus criticizing companies. These findings are supported by the fact that people are more likely to have positive emotional reactions than negative ones after brands share a stance on social media. In fact, three of the top five emotional reactions people say they are likely to have in response to a brand taking a stance are positive. Emotion is a top driver of building long-term loyalty, and what brands say online can sway whether or not their communities get involved, too. Again, brands have a reason to speak out: the chances of encouraging someone toward purchase are higher than pushing him or her away. On social media specifically, brands face more rewards than risks when speaking their minds. Even when brands do risk lost sales, the chances of earning greater revenue are higher. 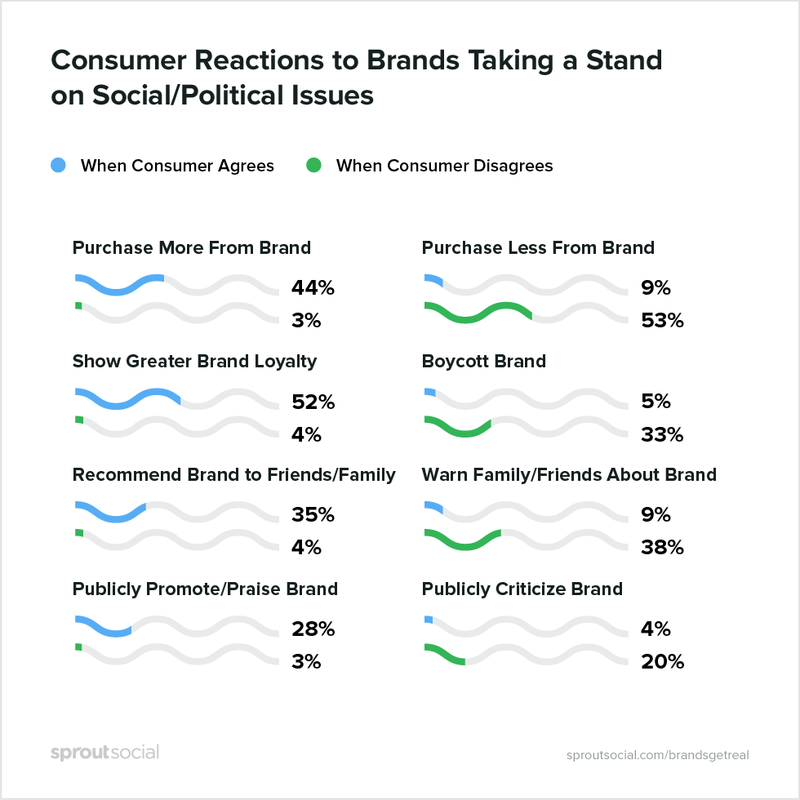 While 17% of respondents have joined a product boycott as a result of a brand speaking out on social, 24% have gone on to purchase a product from that brand. 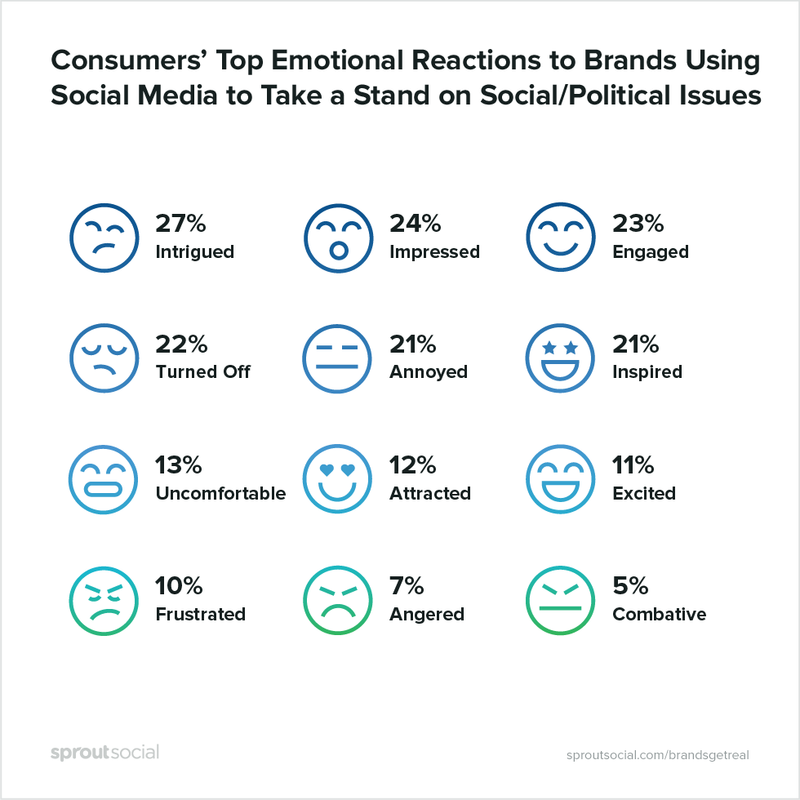 Overall, consumers’ most common reaction to brands speaking out on a social or political issue on social media is to do further research (36%). People are also more likely to engage on social media when they agree with what brands are saying on these networks. Twenty-six percent of consumers will share a post they agree with, and 21 will leave a positive comment on the post. Conversely, 34% will unfollow a brand after, and 14% will leave a negative comment, after seeing a post they oppose. 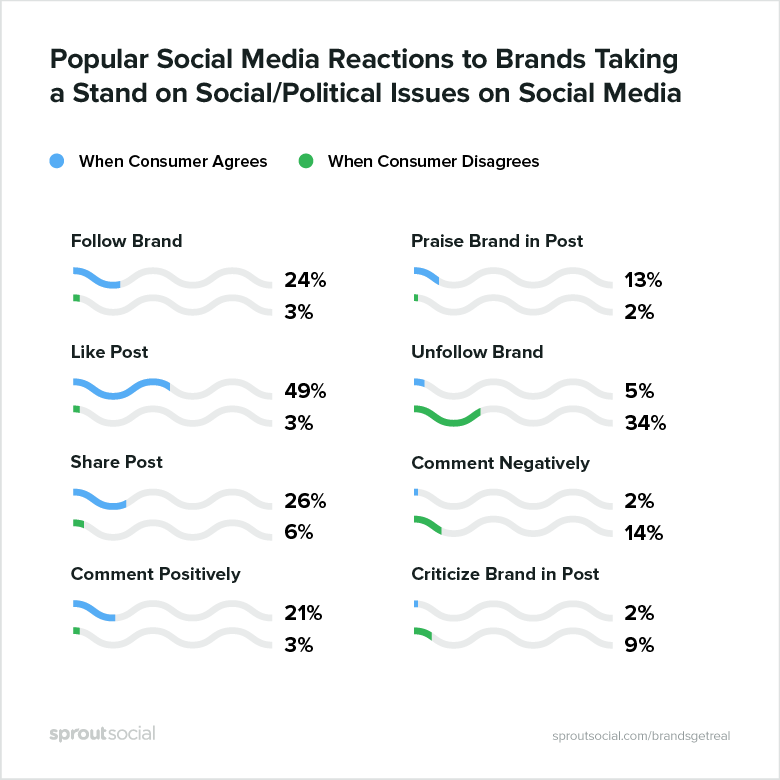 Notably, people are more likely to post something themselves when they agree with what brands are saying on social media than when they oppose a stance. Simply put, people are more likely to reward than punish brands for taking stands. Most individuals already have firm beliefs about today’s most controversial social and political issues. So, despite brands’ best efforts, they aren’t likely to change anyone’s minds by speaking up. 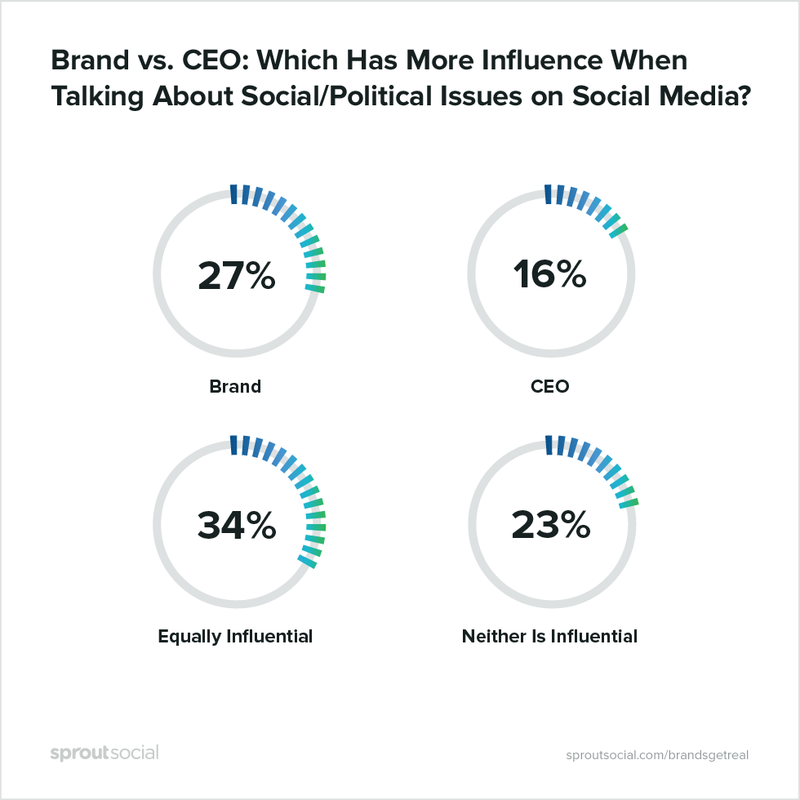 In fact, 66% of respondents say their opinions are rarely or never influenced by what brands post on social and political issues. What brands can do is use their financial resources to impact the causes their communities care about. 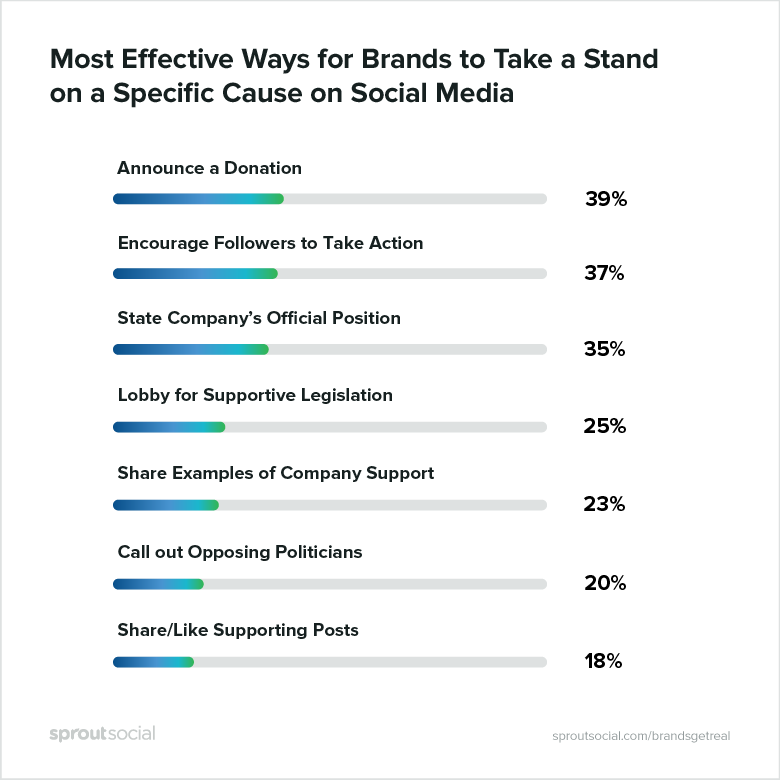 When asked about the most effective ways for brands to take stands on social and political issues on social media, consumers want brands to do what they cannot do alone—impact social and political change through significant donations, or to use their substantial platforms to encourage others to do the same. However, many people do have a point of saturation, even when brands are supporting the causes they care about. 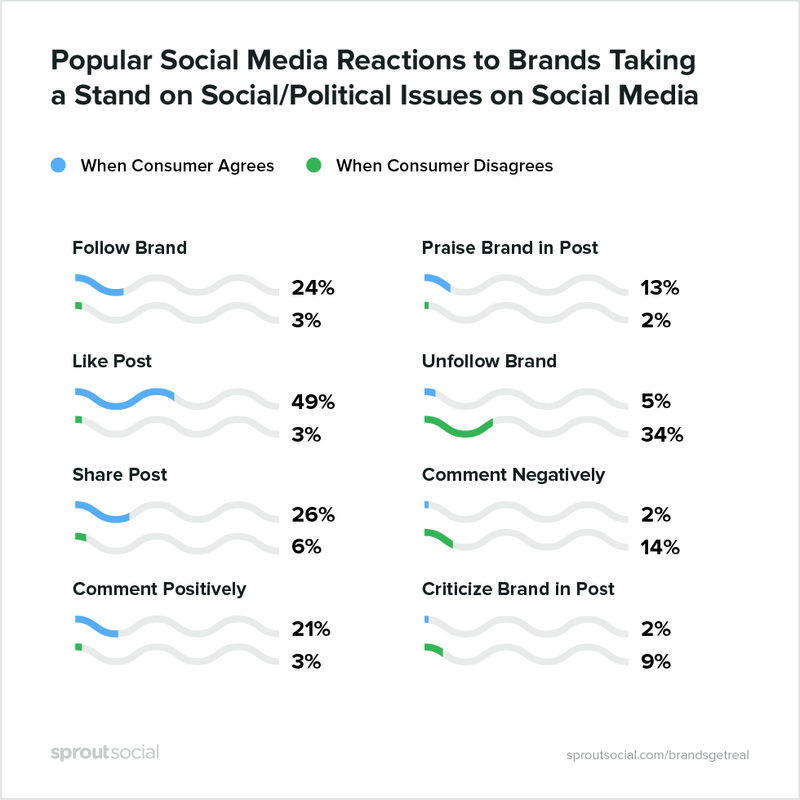 Sixty-three percent of respondents want brands’ social posts to pertain to social and political issues 10% of the time or less, with the greatest number designating 1-5% as the sweet spot. Regardless of industry or topic, brands can point back to this threshold as an easy way to avoid unnecessary risk when interacting on social media. Likewise, brands will get the most out of this limited real estate by crafting posts highlighting their financial actions first. 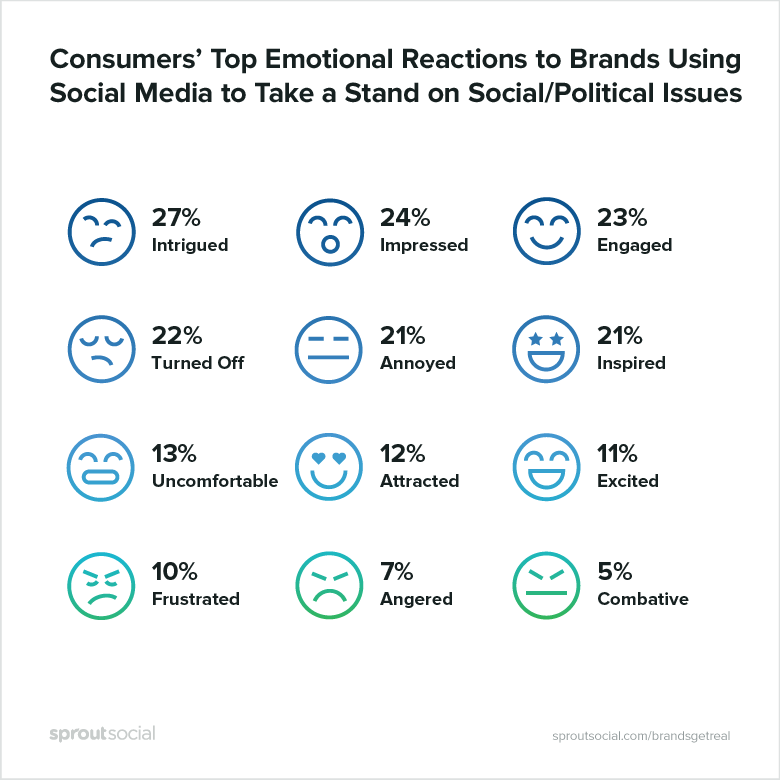 Consumers are also wary of brands engaging with politicians on social media. 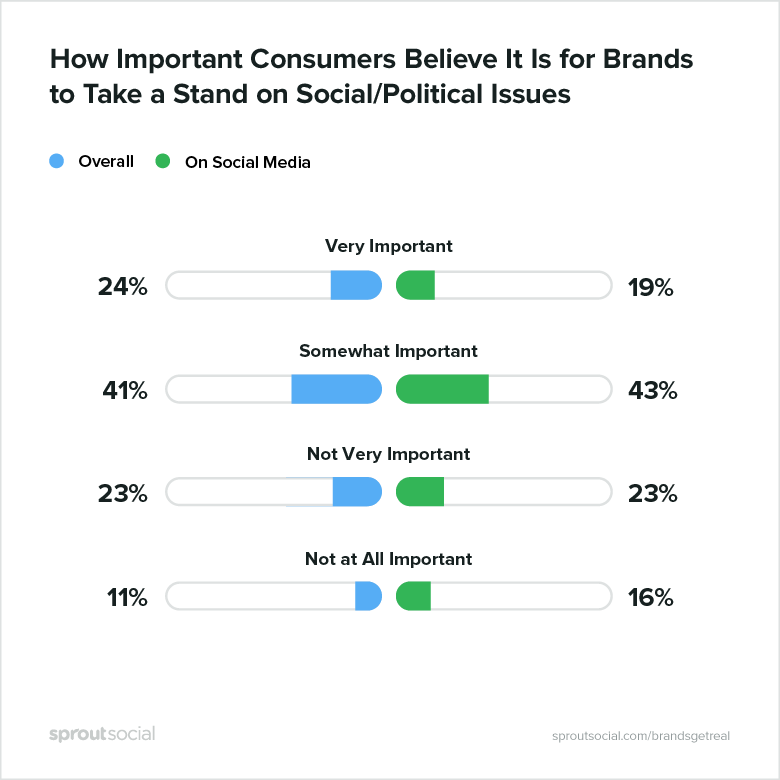 Half (49%) of respondents believe brands should never engage directly with politicians on social media, while a third (32%) say they should, but only in response to a politician’s social media post. Again, the more effective route for brands is to dedicate resources to the associated cause. In direct support of this, Patagonia donates, at minimum, one percent of its annual sales to environmental groups. The brand even donates 100% of its Black Friday sales to grassroots environmental efforts. Patagonia continues to earn social media success with campaigns like #WornWear, which encourages shoppers to repair and/or purchase recycled clothing in the name of conservatism. Patagonia is so committed to environmentalism that it replaced all traditional sales copy on its homepage with information about protecting at-risk public lands. The decision wasn’t just an attention-grabbing stunt; Patagonia built out an entire resource catalog with coverage on its own conservation efforts, education around public lands and next steps for website visitors also looking to take action. The retailer continues to encourage consumers to take action on these issues by both publishing and curating social content urging their audience to act, using hashtags like #StandWithBearsEars and #SaveGrandStaircase. A brand’s identity is, in part, made up of the people who work for it. It’s no surprise then that CEOs and other top executives are using their social media influence to support the causes important to them. 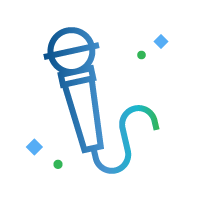 Scroll through the Twitter feeds of Lloyd Blankfein (CEO, Goldman Sachs), Mary Barra (CEO, General Motors) or Elon Musk (CEO, SpaceX) and it’s easy to see how top CEOs are treating social media as their personal microphones. 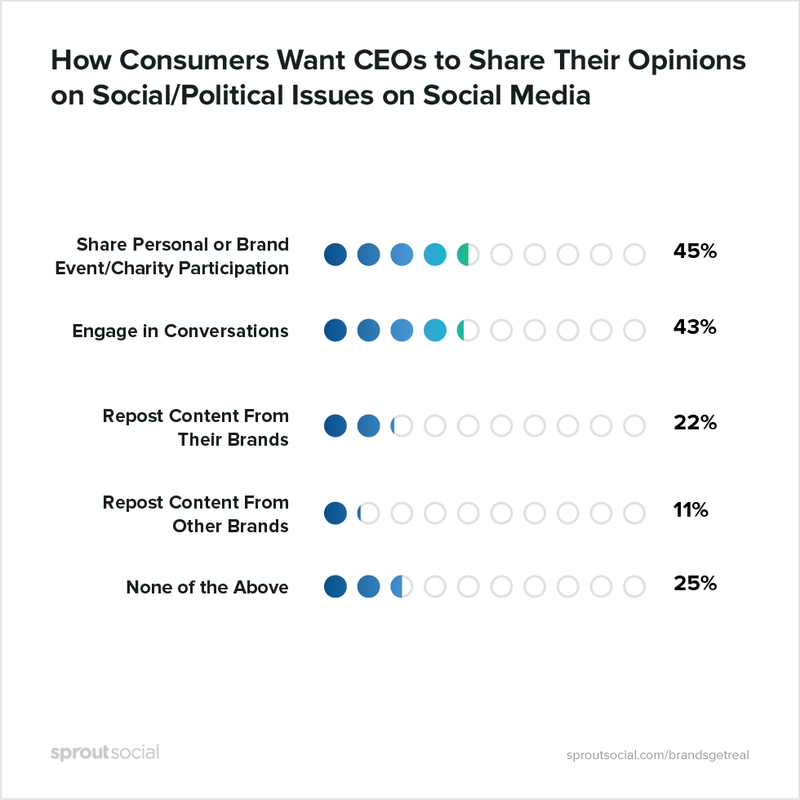 Although respondents are almost twice as likely to say they’d rather hear about social and political issues from a company than a CEO on social media (22% versus 13%, respectively), people still feel C-suite members have a duty to speak up. 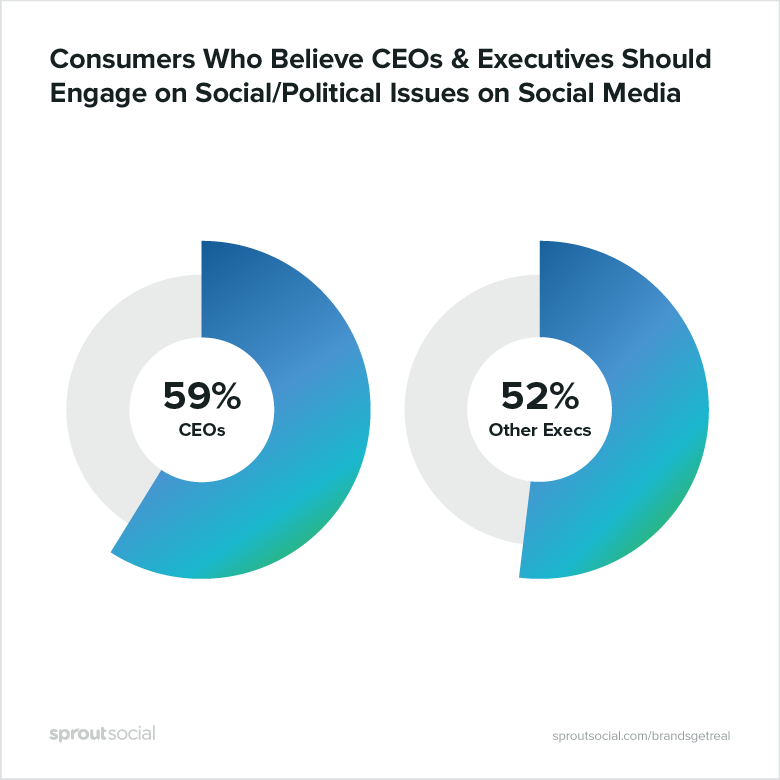 And they especially want CEOs to use their voices: 59% of respondents say it’s important for CEOs to engage with consumers and followers on social and political issues on social media. Communication and marketing stakeholders’ natural instincts may be to caution an outspoken CEO, but consumers are open to CEOs having a voice independent from their brands. It’s true that 15% of respondents will equate CEO and company opinions shared on social media no matter what, and a quarter actually believe CEOs and companies’ opinions should always be aligned. However, the greatest number of respondents say CEOs are entitled to their own beliefs. As with their companies, what matters most is how CEOs go about engaging in social media conversations. 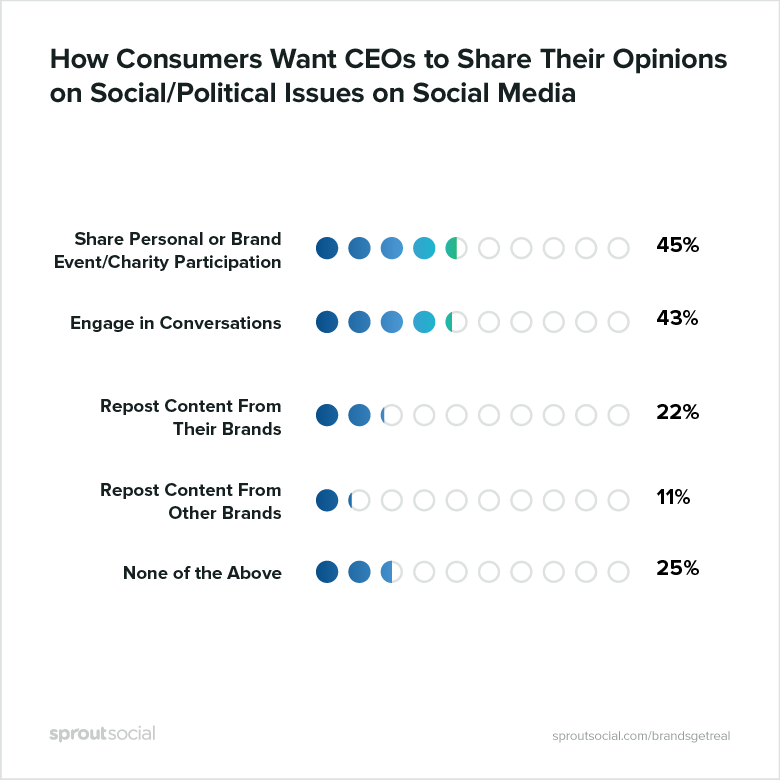 Consumers do not always find CEOs’ own opinions influential; however, they’re interested in hearing about these executives’ personal experiences. CEOs alone can make an impact, but their voices reach even farther when they work together. Consider the dismantling of President Trump’s 2017 Advisory Board. In reaction to race-related comments made by the President, as well as the administration’s overall agenda, CEOs from popular companies like United Technologies, Under Armour and PepsiCo took to Twitter to speak out. This is just one of many issues to which Hayes, as well as United Technologies, has added a voice. The company even has a separate Twitter account dedicated solely to its stances and efforts related to public policy. 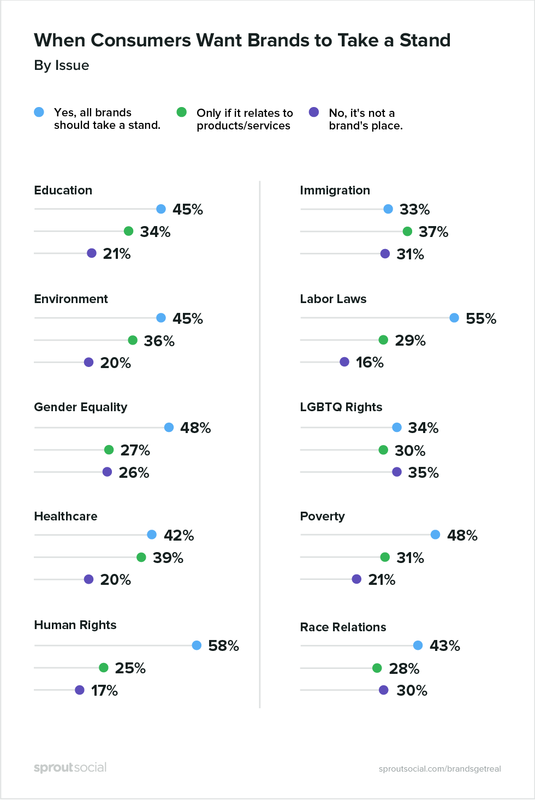 Overall, people who identify as liberal are more open to brands engaging in social and political issues than those who identify as conservative. Seventy-eight percent of liberals want brands to take stands, compared to just half (52%) of conservatives. According to our research, liberal consumers are generally more interested in engaging with brands. Just 5% of liberals are not receptive to communication on any channels, compared to 19% of conservatives. Likewise, 73% of conservatives believe brands should never engage with politicians, compared to just 29% of liberals. Conservatives have less tolerance for branded voices, regardless of where they’re coming from. This divide only grows more severe on social media. Eighty percent of liberals think it’s important for brands to take stands on social media, compared to 39% of conservatives. 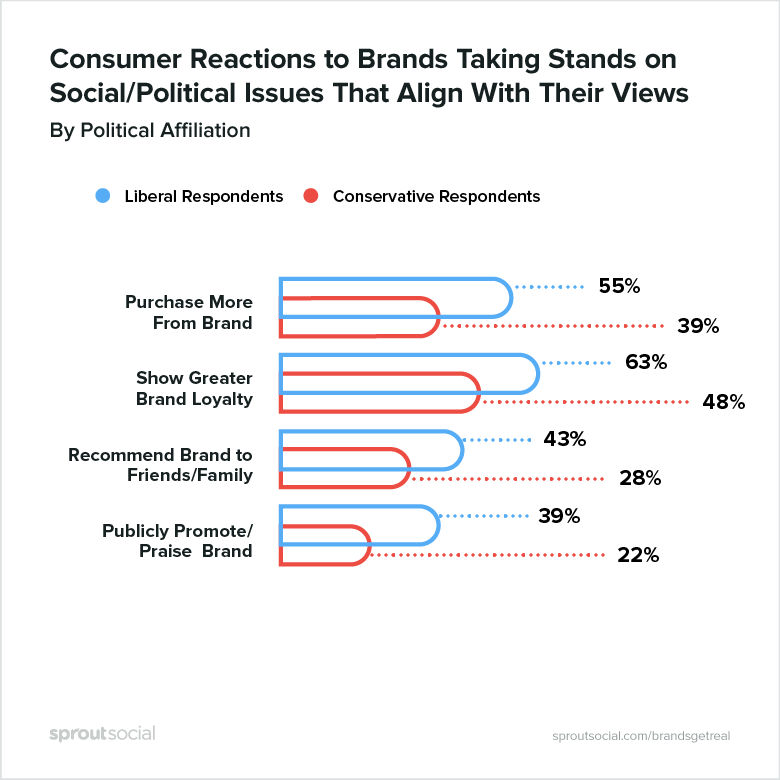 In addition to assigning more interest and importance to brands speaking up on social, liberal consumers are also more likely to trust what brands say online. Eighty-two percent of liberals feel brands are credible to take a stand on social media, compared to just 46% of conservatives. Liberal consumers are also more likely to take action as a result of these posts. Notably, liberal consumers are both more likely to speak up and spend. When it comes to stances they agree with, liberal consumers are more likely to show brand loyalty and to make purchases from that brand. The same holds true for stances with which they disagree. 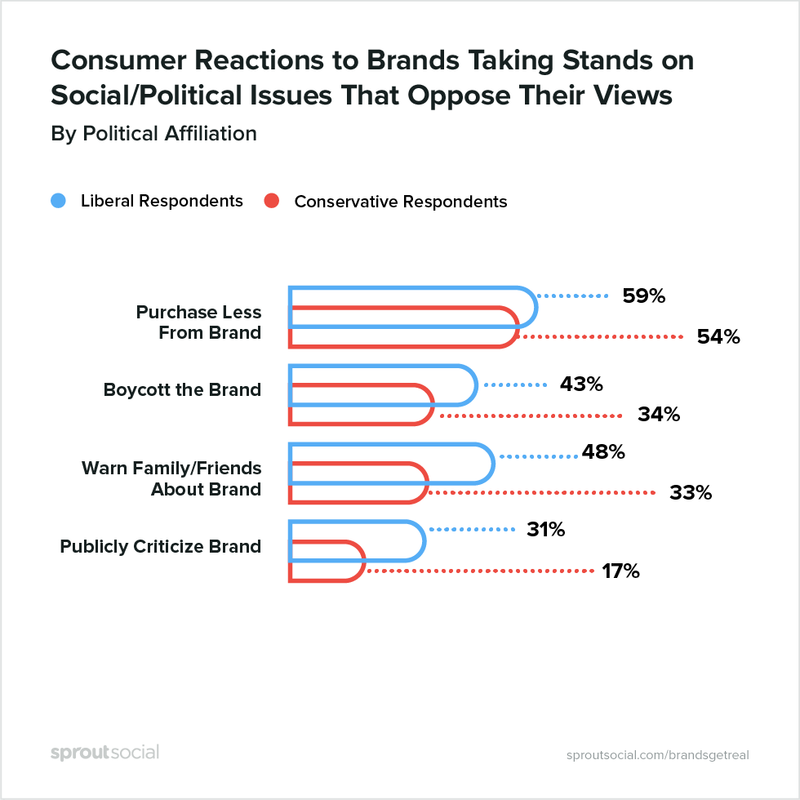 Liberal respondents are more likely to boycott a company after it takes a stand that opposes their personal beliefs, as well as to publicly criticize that company. As with respondents overall, brands have more rewards to gain from sharing stances with like-minded consumers, regardless of political affiliation, than they do risks in turning off the opposition. Immigration has been at the forefront of 2017 policy reform in America. 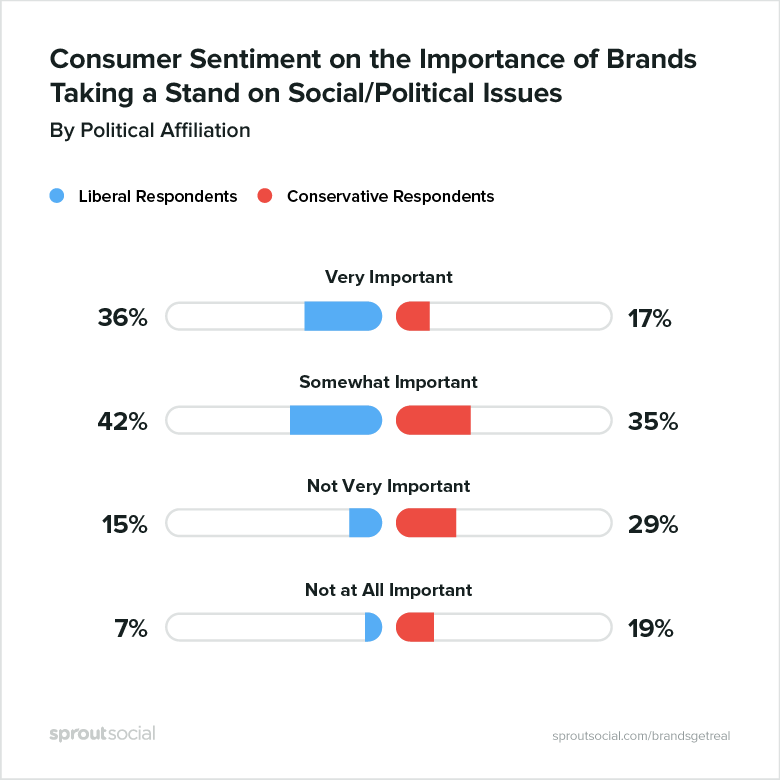 How brands are engaging in this conversation is a timely example of companies financially supporting the politically polarized interests of their customers. In response to President Trump’s proposed travel ban, major brands across industries continue to defend immigration efforts. For example, Google created a multimillion dollar crisis fund to help immigrant-rights organizations. Likewise, Lyft’s co-founders pledged $1 million to the ACLU, noting how Lyft was created “to be a model for the type of community we want our world to be: diverse, inclusive and safe” in a company blog post. Lyft also defines a clear connection between its customer and the issue. Regardless of the side they’re on, brands are affirming their stances on social media to develop farther-reaching connections with audiences. Again, Lyft’s co-founders are taking to Twitter to stand up for immigration now, as well as to showcase how the ride-share company will prioritize global diversity moving forward. Two things are clear from these findings. First, people want to hear from brands, particularly on social media. And second, people want brands to use what they don’t necessarily have—power and money—to drive change at scale. The connection between point A and point B is less obvious, however, and brands must develop smarter social media strategies to communicate their unique positions without taking on overwhelming risks. 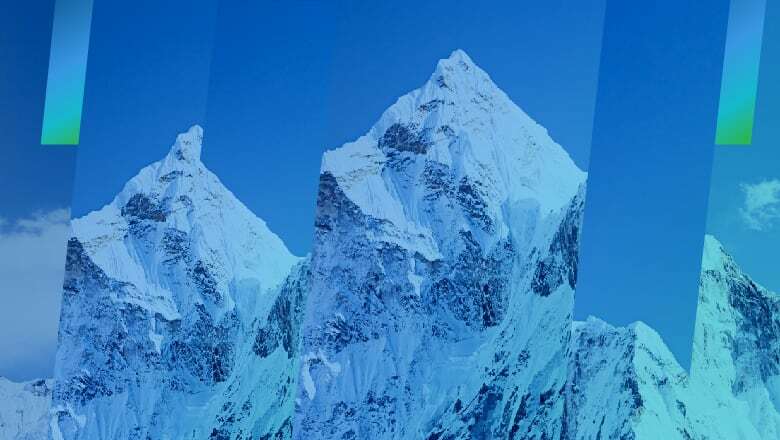 These strategies must start at the top—connecting deeply with a brand’s overall business operations and strategies – before being executed on social media. Here are five communications strategies brands can turn to first. 1. Align with stakeholders on social strategy. Social may be where communities want to hear from brands most, but that doesn’t mean always and on every subject. While social may be available to all, brands must embrace posting and publishing as a privilege. Before sharing an opinion, gather all relevant stakeholders to identify the purpose behind taking a stand on social. Then, together, you can make company-driven decisions on the strategy of seeing that engagement through. Brands that are intentional about the conversations they join and that take actions to amplify reach on social media will be most effective. Brands can also consider their track records with a given subject to judge when speaking out is appropriate on social media. 2. Prepare for every kind of reaction. Customer communities are, by nature, diverse. In trying not to alienate any one particular group, brands will find it nearly impossible to take a true stance on issues. The good news is that the rewards are worth more than the risks since those who disagree are less likely to do something about it. As such, brands should be confident in taking stands that may polarize, as this focuses on forging connections with like-minded consumers. A major part of preparing for a wide variety of reactions from people is accepting that not everyone thinks like you do. Brands can hold opinions that differ from customers, but they cannot reject those ideas or the people who promote them. A strategy that incorporates this kind of messaging needs to include training and empowering your front-line social team on how and when to respond to those on either side of the aisle. 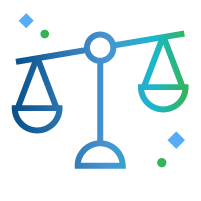 This will help your team feel supported and better equipped to engage in controversial conversations in real-time, keeping a focus on your brand’s values and giving your audience authentic and consistent responses. 3. Do what individuals cannot do alone. Today’s shoppers largely want to support brands that align with their beliefs, and that means brands can build customer loyalty by using their money to make a difference. You may not be able to change a customer’s opinion, but you can back his or her interests and advocacy by dedicating funds and/or encouraging others to do the same. This countered and measured approach creates positive brand sentiment and loyalty. By acting on behalf of their communities now, brands boost their affinity long term and are more likely be top of mind when shoppers are ready to make a purchase. 4. Develop a C-suite playbook. A little education of social media best practices goes a long way. 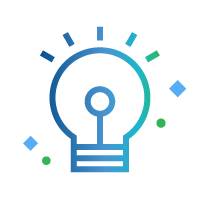 Invest in the time, training and resources your marketing and communications team members need so they can quickly and confidently respond to events with the right types of messages. It’s also useful to share and implement this training with your top-ranking officials, as customers often equate a business’ opinion with the leaders at the top. Although generally people want to hear more from companies than their employees, CEOs are in a unique position to connect with others on a human-to-human level. Ensure your top executives are all equipped to speak about their opinions and stances when necessary and are ready to commit to using social as a key communication channel. 5. Empower employees to spread the word. Your brand’s network of advocates for change doesn’t stop at the CEO. 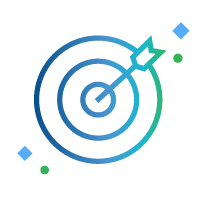 Take a look around your office to see the pool of internal ambassadors already available to help spread your organization’s messages and expand awareness of the impact they’re making. Brands that can empower their employees to support their missions (when their views align) will exponentially amplify their reach and ensure more people are aware of the impacts they’re making. Employee advocacy platforms provide a unified system to curate and share ideas, initiatives and articles beyond your brand’s social networks. This approach can actually help boost employees’ perception of company leaders. First, carefully crafted, pre-approved articles do some of the leg work for employees, saving them time and energy. Second, they demonstrate your business’ commitment to today’s leading issues and can build stronger relationships with employees via conversations they care about. With strategies like these, organizational stakeholders can work to build better brands and drive change around the issues their customer communities care about. Brands that strategically stake their ground on social media and use their influence to make a positive impact will be best equipped to thrive in today’s divisive socio-political climate. Brands that won’t be ready? The silent ones. The famous Alexander Hamilton quote applies nicely here: “If you don’t stand for something, you will fall for anything.” Consider this an invitation to figure out what your brand stands for. The Sprout Social Championing Change in the Age of Social Media study is based on a survey of 1,022 U.S. consumers. The survey was conducted online between Sept. 22-25, 2017, and has a 3.07% margin of error at a 95% confidence level. *Note: Graphics are rounded to the nearest percentage so may not add up to exactly 100%. Sprout Social offers social media management, analytics and advocacy solutions for leading agencies and brands, including Hyatt, SoulCycle, Microsoft, GrubHub and Dropbox. Available via web browser, iOS and Android apps, Sprout’s engagement platform enables brands to more effectively communicate on social channels, collaborate across teams and provide an exceptional customer experience. 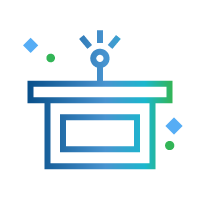 Bambu by Sprout Social, a platform for advocacy, empowers employees to share curated content across their social networks to further amplify a brand’s reach and engagement. 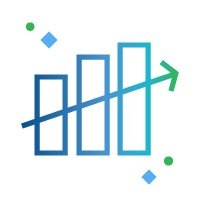 Headquartered in Chicago, Sprout is a Twitter Official Partner, Facebook Marketing Partner, Instagram Partner Program Member, LinkedIn Company Page Partner and Google+ Pages API Partner. Learn more at sproutsocial.com and getbambu.com. For questions about this report, please contact pr@sproutsocial.com.